Only 20% has the mental capacity (perhaps due to lack of successful schooling) to envision a life different from what the society provides via laws, culture, and expectations. One may argue whether the number is exactly 20% but suffice to say, I can just change the definition of “different” so that the statement is true for 20%. Similarly, only 20% has the leadership capacity (perhaps due to the lack of successful schooling or perhaps due to being raised for leadership) to act on an idea rather than sitting around waiting for instructions waiting to follow a leader. Perhaps there are two steps here: The ability to translate an idea into practical execution and the ability to actually execute consistently. Again, let’s just stick with the 20%. Now, these two abilities are likely not entirely uncorrelated but presuming that they are, no more that 4% (0.2 x 0.2) are apparently capable of envisioning an idea and actually following through on it. Even if they are fully correlated, the number is still only 20%, so only a very small minority of people act as effective agents of change. Obviously this inertia or tendency to either not see the potential for change or drag one’s feet even when seeing it is not always optimal, so why is the tendency so wide spread? The best explanation I can think off is that humankind has essentially evolved to live sustainably in a climax stage, that is, an unchanging environment which is constant on the evolutionary time scale of modern humans (about 50000 years). Genetically speaking then, it would be advantageous if firstly that most people aren’t too visionary lest they mess up their environment or destroy their social structure and secondly, if some visionary were to appear, the rest of the tribe should change only slowly if at all. Naturally, if change happens only very slowly due to innate limitations or constrictions, it is very important to have the right course from the outset. Consider the current framework. Now, regardless of whether you think that the biggest problems facing humanity are environmental, political, or economical, it is clear that only a small group (20%) are actually concerned about them, and out of those 20% only 4% are actively doing something about it. The rest are mainly concerned about the day to day operations of their lives e.g. which kind of clothes to wear, what kind of TV shows to watch, etc. Another way to succinctly summarize this is that 4% lead, 16% follow, and 80% are just out of the way. In a capitalistic society, this means that 4% get very rich, 16% (the professional class or the right-hands of the upper class) will be very well off and the hoi-polloi, that is the remaining 80% will provide most of the effort. In a political society, 4% will hold the power, 16% will administrate the power, and 80% will be subjected to the power. Naturally, if genetics dominate our behavior, and there is nothing we can do about it, any exponentially increasing change is eventually going to cause a system failure (in whatever your area of concern is) as it outruns our ability to adapt, because we (at least 80% of us) essentially lack the ability to adapt. However, human behavior is not all genetic. Culture plays a role as well. Hence, however comfortable our genetic predisposition to waiting around for someone to follow is we (that is you, the individual) must leave this genetic and culture comfort (ref) behind and become adaptable. The ability to adapt is what makes us different from animals. We are not the strongest, the fastest, the tallest, or the biggest, but we are all around the best, because we can adapt solutions to all these problems. Adaptability is the greatest human asset (no it’s not your net worth like you’re some kind of squirrel hoarding nuts in a tree). Consider what you can do in five years. You could get married (and divorced again). You could go from couch-potato to winning local marathons. 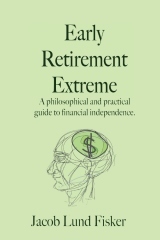 You could become financially independent and retire. You could launch an entirely new career. You could move to another country and learn to speak the language fluently. However, none of this is going to happen if you are just going to ignore this potential. It is not going to happen if you are just going to think or talk about it either. But maybe that’s alright because you are already in your genetic comfort zone. I’m guessing that if you are (still) reading this, you are probably one of the 4% (one out of 25) or at least 20% (one out of 4). What do you think? previous post: Can you wait, think, and fast? 18 users responded in " Pareto barriers "
Ha! Nice one. Yesterday was March 30th right? I agree with you view. However, I think 3% are agents of change. Years ago, I traveled around the World working on automatic control systems, and noticed that only certain people could keep the line running. When they left the company, suddenly every thing was a problem. No amount of management could compensate for insight & skill. I watched the US steel industry go down the drain when technology made massive changes in how the processes were implemented. They could not adapt. What if we apply this to your S-curve? The way I see it the 20% are passively participating and 4% are actively participating in the ideology. With the S-curve one could see there exists a negative 20% and 4% that may passively and actively resist the ideology. To progress this idea further I would get rid of the thresholds of 20% and 4%, which seems appropriate with the ability to change the definition of different. Most important how would one use this theory? I could create a multidimensional analysis that mapped out where my personal ideologies lie and how I rate on an S-curve. Next I could make a plan for where my effort would most effectively progress my ideologies. I believe that this situation is a paradox since I use these processes to determine where I am located on the S-curve but the results don’t matter. By doing the activities I am clearly defining what group I am in. I hope I am not going in circles. Neat theory, I like it. I think we’re all, to a certain extent, followers. Because most of our ideas have been acquired from others. But some of us are more selective than others. Maybe because we’re smart, maybe because we want to be rebels, maybe something else. Rebels aren’t necessarily smart, but they can open the eyes of smart folks to the existance of alternatives to the status quo. And that’s why societies need artists, even if many of them are completely nuts. If all this sounds completely incomprehensible, I apologize and blame it on sleep deprivation and the economy. I read through the whole thing, but I’m one of the 80%. I can’t bring myself to fight when it comes to laws, regulations, or large groups. I write to congressmen about once a quarter, and I vote, and that’s all. @physimatics – The power law and the S-curve are insofar that I see it not two sides of the same coin. A power law is generally(?) measures frequency (>0) as a function of something. The Pareto-law scales e.g. magnitude doubles -> frequency halves. However, physically speaking, frequency is a rate and power is a rate and for thermodynamical systems, efficiency as a function of power is bell-shaped and if you integrate a bell, you get something that looks S-curved. In terms of positive and negative sentiments, I generally operate with a model saying you have 1/3 for, 1/3 against and 1/3 swing. For and against will never change their minds, but the swing will determine what’s popular. E.g. 1/3 rock, 1/3 pop, … and 1/3 currently at pop, making pop 2/3 and the popular music du jour. Similarly, the introvert/extrovert is genetically 50/50, but sociologically, it’s 1/3, 1/3, 1/3 with the swing in the US being towards extroversion making extroversion the popular choice of the 20th century unlike the 19th century when introversion dominated as a role model (strong silent types). @Jan – New ideas essentially spring out of some “random-generator” in the brain. I have personally had 2 original ideas in my life (I got the papers to prove it ;-P ). Oherwise, that’s what I’m saying. Some of us are … for lack of a better word neophobes and a few a neophiles. @Tea – I wasn’t talking about changing all of society per se. It could be something as simple as being the one person in the office that starts commuting by bicycle before everybody else does and without being told. Your math is screwy somewhere in the last line; 1/25 is 4%, 1/4 is not 20%, though. Did I catch your April Fools joke? On a more serious note, I completely agree about getting higher quality and making it last. Shame that we few are going to have to incur the costs of going against the majority that wants disposability and high turnover. @Benjamin – 1 out of 5 (senior moment!). On the more serious note, I don’t think that going against the majority costs more. In fact I think it costs less because relatively few can put up the capital to pay 8 times more for something that lasts 10 times longer. The trick is to tell brand name and fluff from craftsmanship. I’ll be doing a post on this soon trying to assemble a list of “the good stuff”. What about production costs for the high-quality craftspeople making this stuff? As you’ve mentioned, there is already a barrier for entry into the market as far as actually having the capital to put towards that 25% increase in efficiency. After that, you also have to figure that not everybody who can afford entry is interested in it. It will be interesting to note the trends as a consumer of this stuff. interesting. i think i developed into the top 20% or even 4% because i had parents that were in that percent. i suppose wisdom came with age as i have rationalized that the chances and opportunities for me to affect big change are pretty slim, so now i just try and affect my little corner and by doing that; i found ere. Jacob, I want a child from you! Part of gaining FI is to reach the point where I can focus most of my time into putting ideas, some like these, some my own, into action. Or at least spread the word! Jacob, I am curious about one thing. Now that you have must be having sufficient income from the sales of your book/ Revenues of your blog, do you have the itch to satisfy your craving for gadgets / a better lifestyle. How much are your philosophies in tune with your desires? But it does make an interesting hypothesis. @srikant – About 100%. ERE (the philosophy) is entirely internalized. I believe my low-consumption lifestyle is better than lifestyles that require more spending. For starters, I don’t feel a desire to spend to make up for some other shortcoming in my life, like boredom. I got over my gadget-lust almost 15 years ago when I realized that new gadgets are only fun for a couple of months. Then it’s onto the next one. They’re like a bad drug that way. I’ve found it’s easier to keep the interest and enjoyment by replace such consumption with more productive enterprises. So, NOBODY is in the way? I wish! It seems like new ideas meet a lot of pushback, even (especially) from people who might benefit from them. @Denise – Exactly. Buy your freedom, then see what you can do with it. It’s amazing how un-free a debt-and-rent slave in a highly specialized career is, or how oblivious a lot of them are to this fact, especially if they’re spending a good size paycheck. When certain people ask me why I’m so frugal I just tell them I’m saving up for something really special. They think they understand and leave it at that.